Opera 18 is still in Developer stream, please give it a go and write down what you think. Thank you for all your thoughts especially for feedback about quick access bar. We decided you deserve a better feature so we switched the flag off to give us more time to improve it. For those who actively uses quick access bar, autoupdate will only hide the bookmarks, so please enable QAB on the opera://flags page for more testing. Please remember that Opera Developer is not intended to be used for your daily browsing. 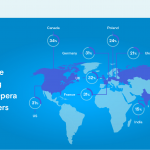 Stick with Opera or Opera Next for stability. 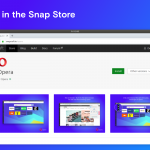 Previous article: Opera 18 – still in Developer streamNext article: Opera 18 Next has landed!